Unlike in Adventure mode, PVP in Survival won’t be based on the current consent system, in which one player shoots at another and the other then decides whether to shoot back to initiate full combat. Instead, every player you encounter in Survival who isn’t in your party will be automatically attackable. A scaling system will be in place to make it easier for lower level players to fight back against higher level ones, but on the whole those with the best guns and the most ammunition will have a clear advantage. While it might be fun to try out Survival with a fresh character (and Bethesda said it encourages players to do so when the time comes), the asymmetry between someone just starting out and a level 170 power armor brute sporting a hefty stockpile of mini nukes is clear. One thing that’s supposed to woo players into this new mode is the prospect of better rewards. Players will get double the bottle caps—what goes for money in the world of Fallout—for successfully killing others in Survival. They’ll also potentially find better rewards when rummaging through the brown paper bags their victims leave behind. 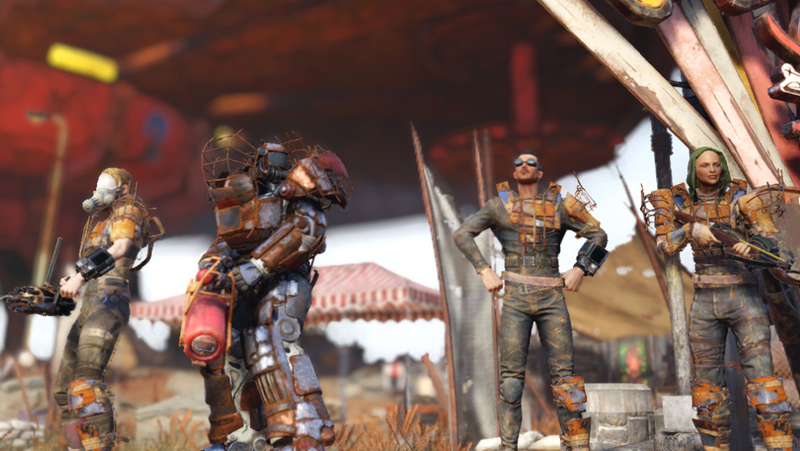 Currently, players only drop some of their junk materials when they die in Fallout 76. In Survival, it will be possible to leave behind “aid or other items” as well. The phrasing is somewhat ambiguous, so it’s unclear yet whether that means you’ll only be dropping consumables like stimpacks and bobbleheads when you die or potentially weapons and armor as well. Finally, this new mode will also have a server-specific leaderboard system. Though Bethesda didn’t specify what will go into determining people’s rank, it did say players will be able to check it once they log on to the map to see where they sit on the food chain vis-a-vis the couple dozen other players currently logged onto that particular server with them. It sounds like an interesting way to help make the world feel more cohesive, but it’s a far cry from the sorts of things like a social hub and multi-person campsites that have been hindering the game’s multiplayer experience since launch.